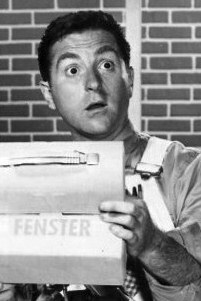 Marty Ingels was a raspy-voiced comedian, actor, and talent agent who was married to singer and actress Shirley Jones for nearly 40 years. The actress is said to be distraught over his passing. In 1974, Ingels met Shirley Jones, co-star of the hit sitcom The Partridge Family, at a party at actor Michael Landon’s home. They married in 1977. Their book, Shirley & Marty: An Unlikely Love Story, was published in 1990. Three years later, Ingels sued actress June Allyson for his agency commission. Allyson denied wrongdoing and countersued. He pled no contest to making annoying phone calls to Allyson. This entry was posted on Thursday, October 22nd, 2015 at 12:44 am	and is filed under Blog by Manny Pacheco. You can follow any comments to this post through the RSS 2.0 feed. Responses are currently closed, but you can trackback from your own site.